After months of campaign, lobbying and wide consultation across the nook and cranny of Anambra State for votes, the popularity of the candidates will be tested today as people of Anambra go to poll to elect who will steer the ship of the state for the next four years after the expiration of the first term of the incumbent Governor Willie Obiano in March 2018. Today’s election offers Ndi Anambra two major choice; to vote for continuity of the Governor Obiano-led All Progressive Grand Alliance (APGA) or ensure change in the Government House by voting for any of the opposition parties, scrambling to end APGA’s reign in the state. For the first time in the history of the state and other states in Nigeria, 37 candidates have thrown their hats in the ring to wrestle for power in today’s governorship poll. 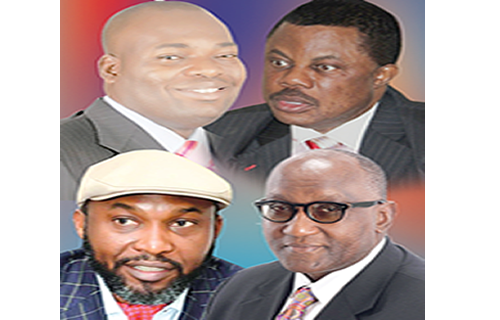 Though 37 candidates are taking part in the election, the contest has been narrowed down to four major candidates, making the electorate to see the contest as a ‘four-horse’ race between Obiano, Nwoye, Obaze and Chidoka. They are regarded as contenders in the race because their structures are visible in the nook and cranny of the state. A lot of factors and issues are expected to dominate today’s contest as the major candidates scramble for the electorate votes. Godfatherism will be a major determination in the election as the leading candidates are riding on the backs of some political gladiators and leaders in the state to win the governorship polls. Obiano is using the name of the late Igbo leader and Biafra warlord, Dim Chukwuemeka Odimegwu Ojukwu, to win the hearts of Ndi Anambra. Knowing the influence of Ojukwu in Igboland, especially in Anambra State, Obiano is using Ojukwu’s name and pictures to campaign. The majority of the posters and bill boards of APGA contain the pictures and statement by Ojukwu in favour of Obiano. Obiano will also count on the support of former APGA National Chairman and the Director-General of his campaign organisation, Chief Victor Umeh, to win the election.